In the market for a new coupe? 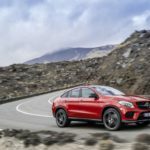 The Mercedes-Benz GLE AMG Coupe could be the perfect fit but is it better than a BMW or Range Rover? 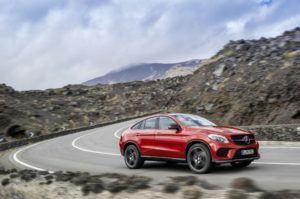 The new Mercedes-Benz GLE AMG Coupe comprises two models. One is decidedly ordinary and the other is extraordinary. It’s the range-topping AMG V8 model that will get the most attention: It’s hand-built, it does 0-62 in 4.2 seconds and it emits a battle cry that could stir North Korea into action. Is it really necessary? Absolutely not. But who cares? As people, we love to be entertained on the road. This is a bold, stylish offering from Mercedes for buyers who are in the mood for a bit of drama. It’s pricey, but if you’re hungry for performance, lashings of luxury and earth-scorching speed, it’s got all the answers.